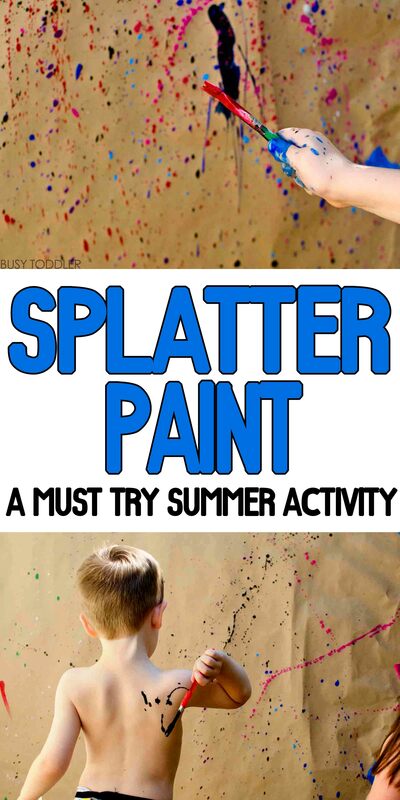 You have to try Splatter Paint this summer! 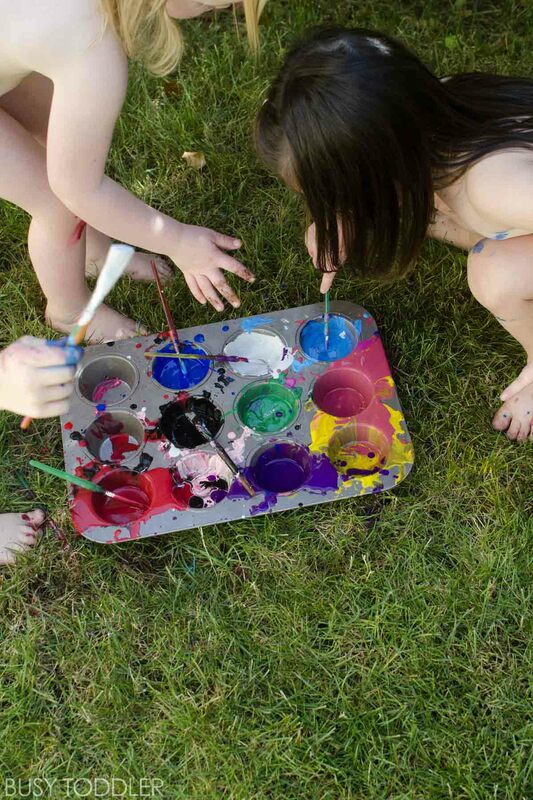 It’s messy art time, parents! I know messes make us cringe but they are just a part of life. Especially a part of toddler life. Embracing the mess every now and then (and having a sufficient game plan going in) makes life so fun and special. 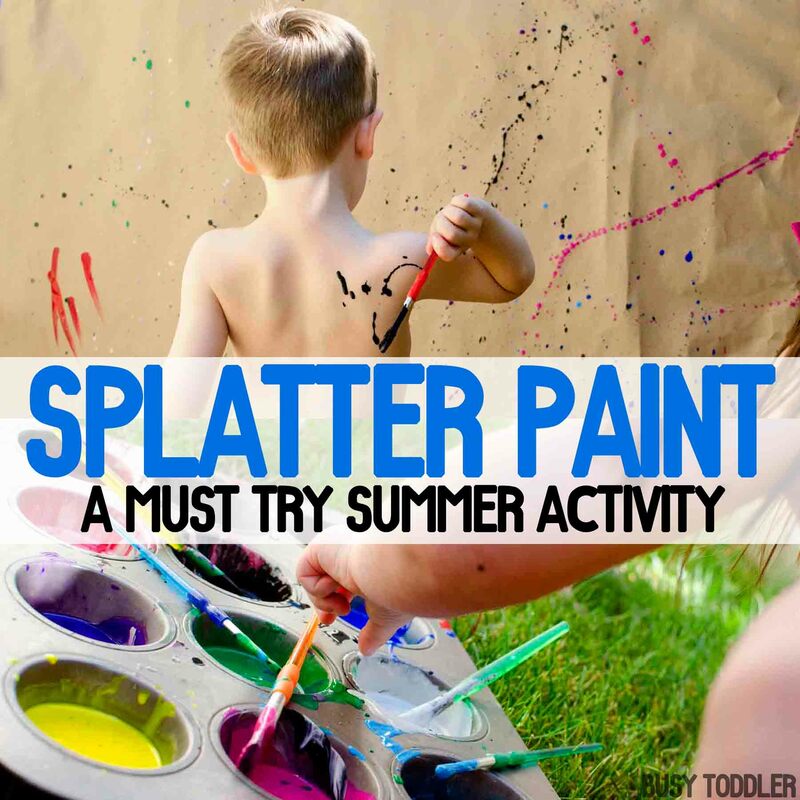 Try Splatter Paint this summer – it’s a must do activity! 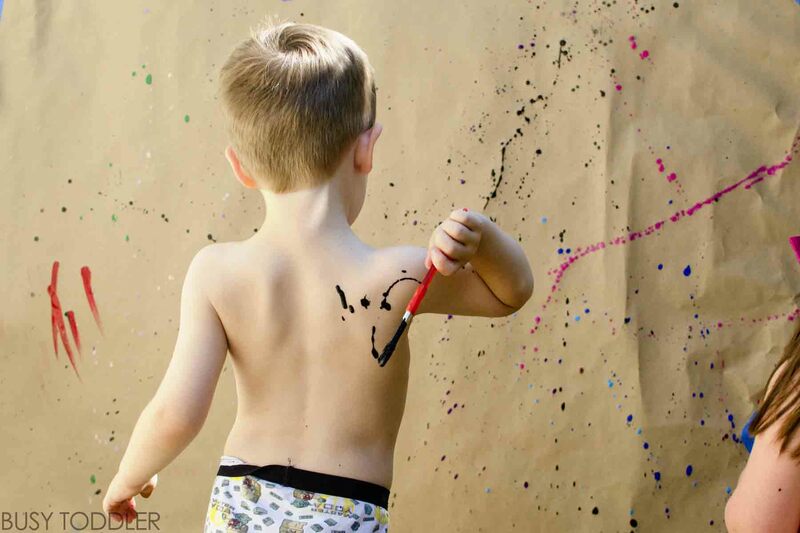 Splatter Paint is a process art activity. Process art is a fancy way of saying “art with no intended outcome”. I didn’t care what this looked like at the end: it was a kid driven project. 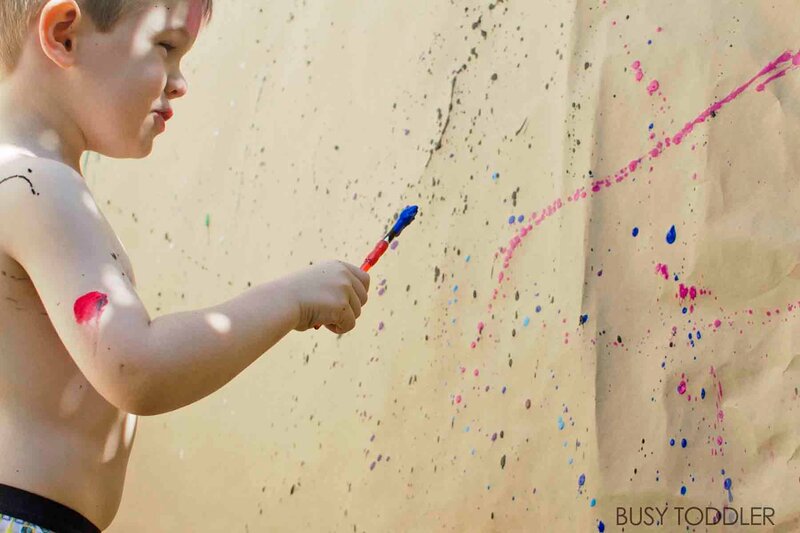 Splatter Paint is a surprisingly easy activity! I squirted a bunch of washable paint into my cupcake tin. Then we (my mom friends and I) diluted the heck out the paint to make sure it was good and runny, and even easier to clean up at the end. This activity is OBVIOUSLY an outside one. All toddlers were in unders only. When I did this at school with first graders years ago, they each wore a plastic garbage bag smock. I taped Kraft paper to our fence and made sure to cover a large area. We had 4 toddlers painting together so I put up a 6 foot by 8 foot wall of paper. This kept most of the paint contained to just the papered area. It came off the fence fine, just hosed it down immediately after the kids were done. Always test paint before and make sure to do what’s best for your family. This is fine at our house. Splatter Paint was so fun to watch! As a mom, there was such joy watching this project unfold. 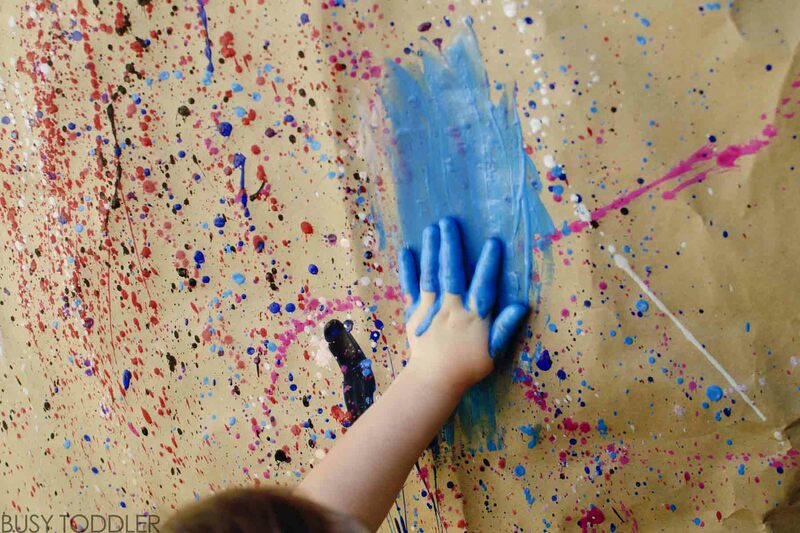 The toddlers would load their brushes with paint and fling them onto the paper. They were covered, the paper was covered, any Moms standing too close got covered. Thank goodness for WASHABLE paint. 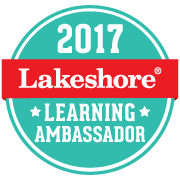 This activity really is all about the process – the kids loved deciding which color would go where. 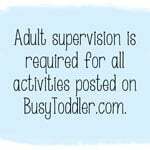 It’s an amazing gift to give toddlers a chance to explore, create and get messy in a safe environment. But what about the mess?! The project is outside. The hose is 5 feet away. I had friends over. 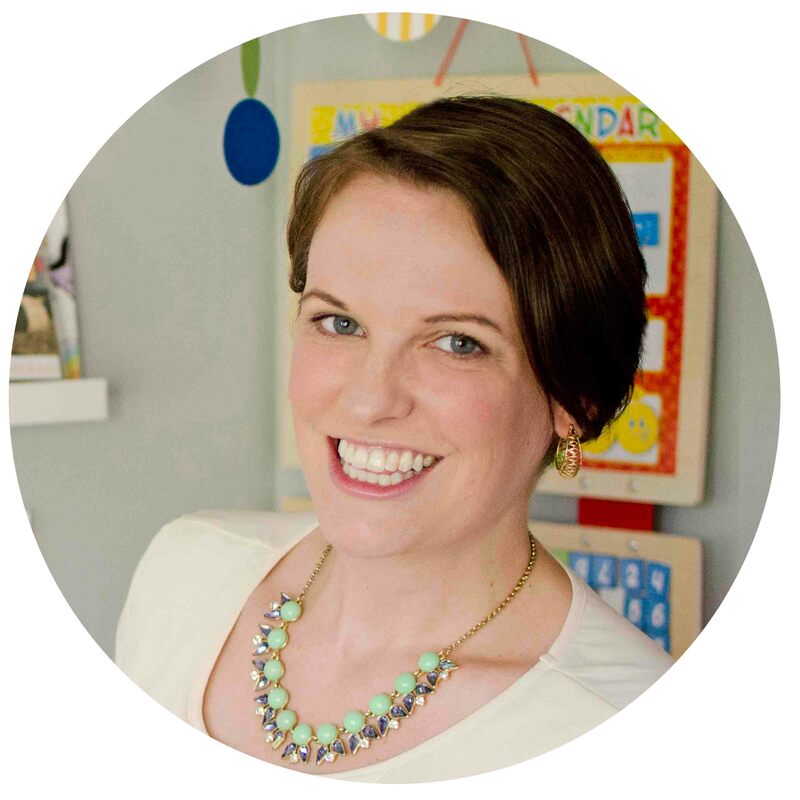 There’s so much strength in Mom Numbers- someone could man the troops while others cleaned. Once the kids were done, we rinsed them all off in the kiddie pool. Even after the pool, they were still covered in paint and taken inside for baths. One mom managed the tub, the other moms cleaned – took down the art, rinsed brushes, rinsed the cup cake tin, and hosed off the fence of any random splatter. Yes, this was messy. Was it worth it? Oh my goodness, YES! It’s been more than a week since we played this and the toddlers are still talking about it! Toddlers are going to make messes. In an activity like this, at least I have control over the mess and can set it up for success. Having friends to do messy activities with is key, especially if you aren’t terribly comfortable with the idea. Splatter Paint was awesome. It’s a must do summer activity! 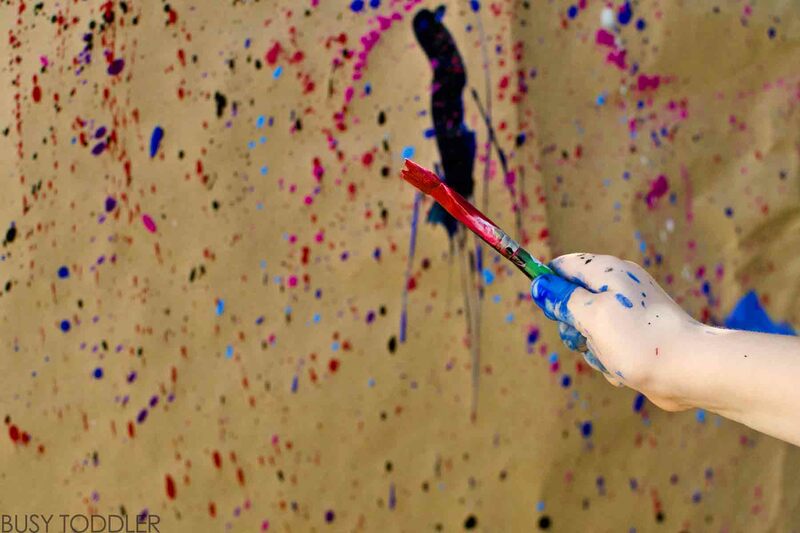 Think you’re brave enough to try Splatter Paint?